The dynamics of the industry are changing fast. 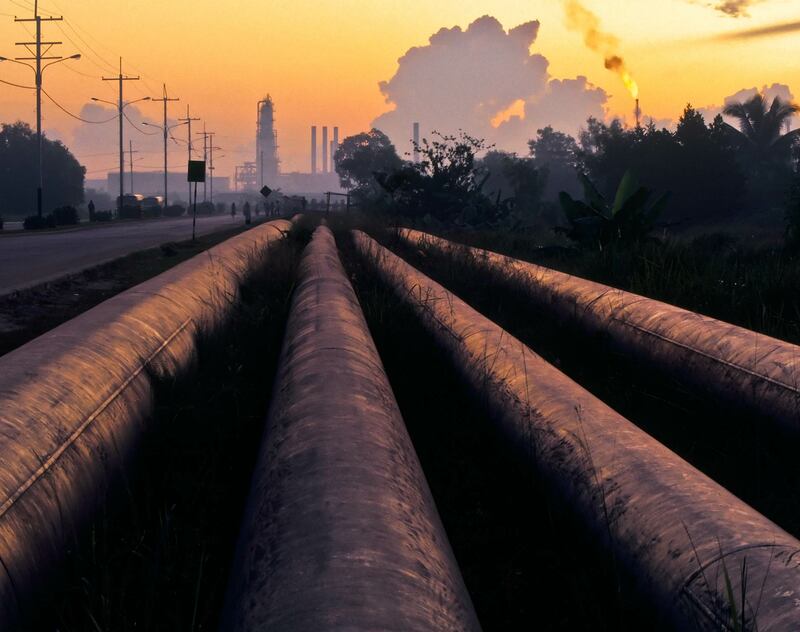 The Middle East hydrocarbon economies see petrochemicals and refining as the natural next step in diversifying beyond the export of crude oil or LNG. And as global demand shifts towards Asia, we see petrochemicals plants and refineries increasingly being set up in these markets. In other hydrocarbon economies, we are seeing rationalization, from retrofits to accommodate changing crude slates, to asset transfers. Investors seek innovative approaches to optimize market share and growth. The industry faces pressure from rising raw material costs, regulatory issues and environmental concerns. And the future looks challenging as strategies are expected to focus on technological innovation, expansions to increase economies of scale and broaden product slates, R&D, mergers and acquisitions as well as strategic joint ventures. Whatever your role in the industry, you require a firm that works within the sector to help you manage these challenges and opportunities. Dentons has the exceptional industry expertise you require. We understand your business and work seamlessly alongside you to deliver solutions. We have over 80 years of experience acting for national oil companies, international oil companies, independents, and startups, as well as lenders and technology developers. With Dentons you get a dedicated team of lawyers who truly specialize in petrochemicals and refining, with decades of experience dealing with multiple partners, cultures, geographies and national and local governments. We have worked on many of the sector’s landmark projects. Our team meets your needs from strategic alliances to facilities development, from feedstock and off-take arrangements to intellectual property and environmental matters. Work with Dentons for insights and advice on your complex, local and cross-border needs. Oman Refineries and Petroleum Industries Company (ORPIC): Advising on its major ‘Program Apple’ project for the optimization of the Sohar Refinery value chain. Oman Refineries and Petroleum Industries Company (ORPIC): Advising on transactional and contentious matters relative to the refining and supply/distribution of oil and gas and petroleum products. Our work covers numerous procurements, feedstock supply agreements, off-take arrangements for a wide range of petroleum products, environmental compliance, utilities and commodity trading issues in the Middle East and internationally. OMV: Assisting in negotiating and signing the transaction documentation for OMV’s acquisition of 54.17% of the shares of Petrol Ofisi, the largest Turkish petroleum retailer covering a network of 3300 gas stations across the country. This transaction supported OMV’s strategy of further enhancing its leading position in the European growth belt. SNR Denton Briefing: Key Differences Between the 2012 AIPN Joint Operating Agreement and the 2002 AIPN Joint Operating Agreement At the start of 2012, the Association of International Petroleum Negotiators (AIPN) released a new version of its model form joint operating agreement (JOA).